We are all aware that Banky W is the latest celebrity to leave the bachelor’s club thereby leaving a number celebrities behind. We know how difficult it is for celebrities to get married after the fame and money come probably because of a lot of distractions and lack of trust for who really is in love with them. We take a look at 10 eligible celebrity couples now Banky W is married. Wizkid is unarguably one of the biggest musicians in Africa at the moment which means he has a lot of fame, money, and ladies around him. Despite still single, the music star is a father of three from three different women. It is reported that his manager, Jada Pollock just gave birth to his third child, maybe this will be his final bus stop. Eyinna Nwigwe is one of the most eligible and good looking actors in the Nollywood industry. Even though he lives a very private life as nothing is known about his romantic relationships, the star from the blockbuster movie “The Wedding Party” will definitely look great to be the next celebrity to walk down the aisle. It’s no news that Iceberg Slim is in a romantic relationship with Ghanaian actress, Juliet Ibrahim. The two aren’t shy to show off their love for each other. This well might just sign for the next big celebrity wedding that will take place in the entertainment industry. Ok, he is rich, famous, his sense of humor is amazing but he is still single. 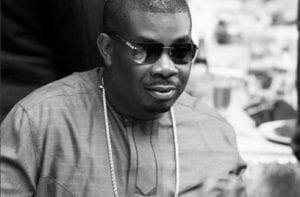 Don Jazzy is probably the most eligible celebrity bachelor on this list. He has everything going for him and we wonder why he hasn’t tied the knot yet. Even though he hasn’t made it publicly known about who he is dating, we can assure you that his wedding would probably be the biggest wedding in the entertainment industry. Yes, he is smart and a master of his craft, M.I is still not married. He is reported to be in a relationship which has been on for years. Well, we guess very soon M.I would take that bold step of moving to the next level and walk down the aisle with that amazing lady. Ikechukwu is one rapper that everyone fell in love with the moment he moved back to Nigeria. Since then he has had a very successful career. However, Ikechukwu recently showed us his new found talent, acting in the movie ” The Wedding Party” and he sure does know how to act. Well, Ikechukwu once dated top model Sarah Ofili but their relationship did not lead to marriage. Ikechukwu is one of the most eligible bachelors in the game right now. Ice Prince is also a member of this gang. He is one of the most eligible celebrities in the entertainment industry. Not too long ago, Ice Prince was linked romantically to Ghanaian actress, Yvonne Nelson, well the relationship didn’t last for a long time. Even though he has a son already, doesn’t dispute the fact that we can’t wait for him to get married. He is not just eligible but also a very handsome actor, so we wonder why the model turned actor has not tied the knot. Maybe with the recent wedding of Banky W, Alex Ekubo would join the next set of celebrities who would take that bold step. 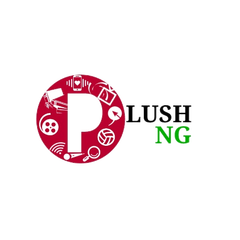 Uti Nwachukwu is another celebrity who over the years have made a big name for himself, thereby making him not just a popular guy but also a rich celebrity. He has never made his romantic relationship public which makes a lot of his fans wonder who he is dating. Uti is another eligible celebrity who might be the next to leave the bachelor’s club. Lynxxx is probably the most good-looking celebrity on this list. Over the years he has grown to be loved by the ladies because of his dashing looks. Well, he isn’t married and hasn’t even given the hints that he would be getting married soon. Well, let’s just hope that he would pull a surprise on everyone and get married soon. Who Did We Miss Out ?